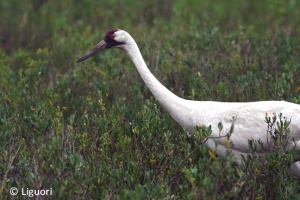 APLIC was forme d in 1989 to address whooping crane collisions with power lines. Since its inception, APLIC has expanded to address a variety of avian/power line interactions including electrocutions, collisions, and nests. APLIC was originally comprised of 10 utilities, Edison Electric Institute, U.S. Fish and Wildlife Service, and National Audubon Society. APLIC membership now includes over 50 utilities, Edison Electric Institute, U.S. Fish and Wildlife Service, Electric Power Research Institute, National Rural Electrical Cooperative Association, and Rural Utilities Service. APLIC has developed guidance documents identifying causes and minimization methods for avian electrocutions and collisions, and released national Avian Protection Plan Guidelines in conjunction with the U.S. Fish and Wildlife Service in 2005. APLIC hosts short courses and meetings each spring and fall throughout the U.S., and funds research related to avian/power line interactions and conservation. What is an Avian Protection Plan? 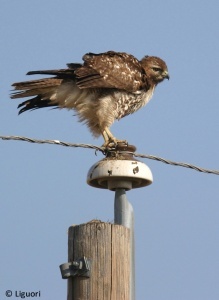 An Avian Protection Plan, or APP, is a voluntary, utility-specific program to reduce the operational and avian risks that result from avian interactions with electric utility facilities. Although each utility’s APP will be different, the overall goal of reducing avian mortality is the same. APPs are “living documents” that are continually evaluated and refined over time. APP Guidelines were jointly released by APLIC and the U.S. Fish and Wildlife Service in 2005. These Guidelines offer resources for developing an APP.